Confluent, founded by the creators of Apache™ Kafka®, enables organizations to harness business value from stream data. The Confluent Platform manages the barrage of stream data and makes it available throughout an organization. It provides various industries, from retail, logistics and manufacturing, to financial services and online social networking, a scalable, unified, real-time data pipeline that enables applications ranging from large volume data integration to big data analysis with Hadoop to real-time stream processing. 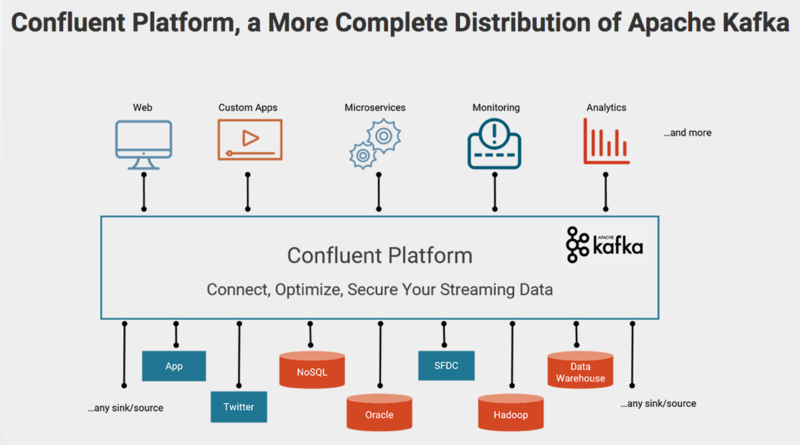 Confluent Platform improves Apache Kafka by expanding its integration capabilities, adding tools to optimize and manage Kafka clusters, and methods to ensure the streams are secure. Confluent Platform makes Kafka easier to build and easier to operate. Confluent Open Source is freely downloadable, while Confluent Enterprise is available through our subscription. By investing in this partnership Big Industries can leverage Confluent best practices around the Kafka Connect framework, in order to help you build, implement, service, support and run the Confluent Platform that best fits your unique needs.